In case you weren’t aware, the South East of England, and Kent in particular, is starting to get a reputation as a stronghold for escape rooms. When I heard tell that CTRL ALT ESC had created an impressive game even by that region’s standards, I was keen to go and try it out. Margate is tucked right in the corner of England but, with other games in the town and nearby in Ramsgate and Gravesend, there’s plenty to justify a trip across. The venue is right down near the seafront, so it’s worth planning a bit of time to find a parking space Edit: reading the website to find where the nearby car park is… We went on a miserable February weekday evening (admittedly during half term) and still struggled to find somewhere nearby. I imagine that, in the height of summer, you may have a bit of a walk. Once inside, we were greeted by seemingly the whole of the CTRL ALT ESC clan, who were keen to find out where we’d been and what other escape room plans we had. That’s one of the real strengths of this venue: it’s a family-run affair, which I think has translated into great attention to detail throughout the experience. Professor Alex Smart, is a genius, he’s an inventor and he leaves thing everywhere. What’s worse, he’s gone missing, can you finish his experiments before the storm passes? The game itself is located in the basement of their building, which they’ve used to good effect. They leave you at the top of the steps and let you make your own way down. This is a great way to break off your connection to the outside of the world and give you a sense of isolation, which works well in a Frankenstein-themed game. In our case, that was helped by a rainstorm that was passing through the area. With the wind blowing and the rain beating down on the glass roof of the starting space, I couldn’t help but feel that this was exactly the sort of way a Frankenstein film might have started. Real storm or not, the point of this game is to finish off the professor’s experiment while there’s still a chance of a lightning strike, so there’s a focus on mission rather than story to drive the game. Having said that, you do find out small details about the characters and their work here and there, which helps with immersion. To add to that, the professor’s workshop is a well decorated space that conveys a place of scientific research from a bygone era. It’s perhaps not up there with the very best decoration, but it does its job well, and there’s a centrepiece to the game that is truly impressive. As you’d expect with a ninety-minute game, there are plenty of puzzles to keep you occupied. While they weren’t always entirely on-theme, and in a couple of cases were very much layered on top of the game, they were logical throughout and included a fun range of challenges with some physical elements. In a seaside resort, it’s perhaps no surprise that they’ve created a variety of difficulties that should appeal to pretty much any group – including families with younger children. There’s plenty of searching to be done, which always evens up the playing field, as well as some stages where you’re very much following a series of instructions and not really solving puzzles to reach the next step. To be honest, though, if you focus on puzzles, I think you’re missing the point of this experience. This felt like a room to be relaxed in. Yes, there were things to be solved and a time limit, but you should take your time and savour the experience. It was a game for laughter too, with a couple of different parts making me laugh out loud. From early on in the room, it becomes apparent where it’s all heading. While some of the puzzles may have felt layered on top of the game, others absolutely built towards the finale – even more so than I’d realised up till that point. It’s hard to explain how much effort they’ve put into the end of the experience without descending into spoilers. It was a theatrical finale both in the sense of getting the players actively involved in completing the mission and in creating an atmosphere that made the experience feel all the more real. It was one of the most impressive endings I’ve seen in an escape room. We escaped in around 60 minutes having taken three or four clues. 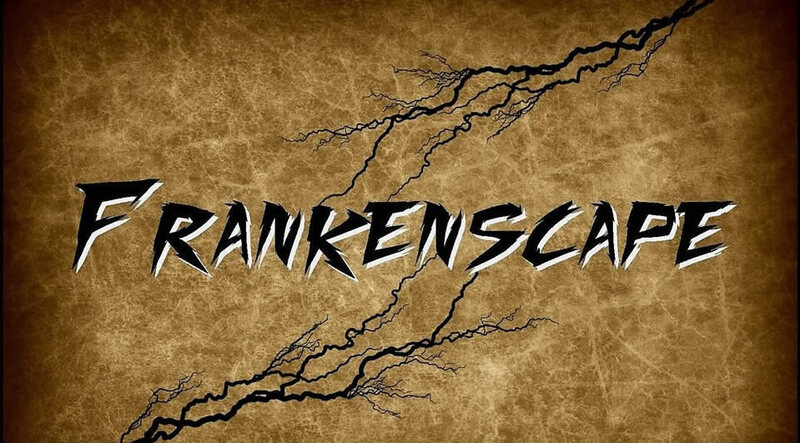 Frankenscape was pretty much everything you could want in an escape room: plenty of logical puzzles, great theming, humour and a thrilling finale. Plus – and this almost always seems to be a sign of a good room – it’s ninety minutes long, so there’s more time to build up the atmosphere. We went along as a couple and had a great time. It’s perfectly doable as a two, although there’s one point in the game that is physically a little trickier. For enthusiasts, I’d happily recommend a group of four – more than that and I think you may start feeling less involved. With them having recently opened a second game and the Escapement just around the corner, this area is perfect for a day of escaping!